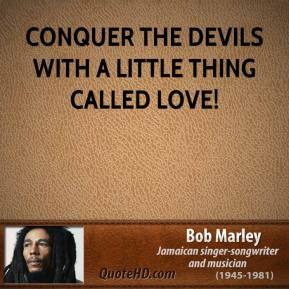 It'll be good for the Devils. 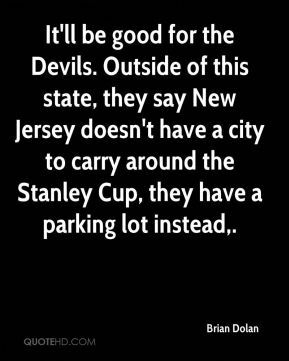 Outside of this state, they say New Jersey doesn't have a city to carry around the Stanley Cup, they have a parking lot instead. 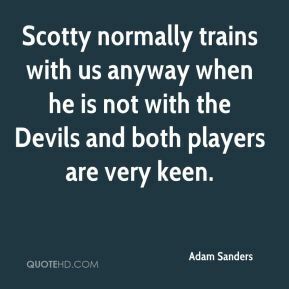 He's been always really good against us. 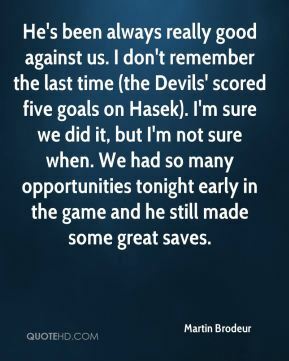 I don't remember the last time (the Devils' scored five goals on Hasek). I'm sure we did it, but I'm not sure when. We had so many opportunities tonight early in the game and he still made some great saves. 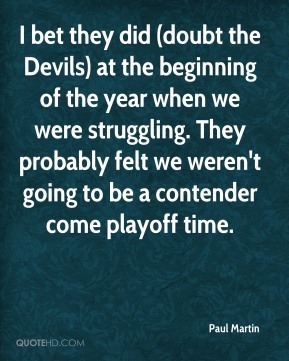 I bet they did (doubt the Devils) at the beginning of the year when we were struggling. They probably felt we weren't going to be a contender come playoff time. 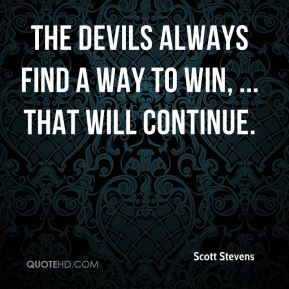 The Devils always find a way to win, ... That will continue.